Print, "Looking up the Mokau River"
Mokau River. Water colour print, from S. Percy Smith 1858. Framed. Dark gold and fabric frame with a red matt board. Maori settlement on the river edge surrounded by bush clad hills. 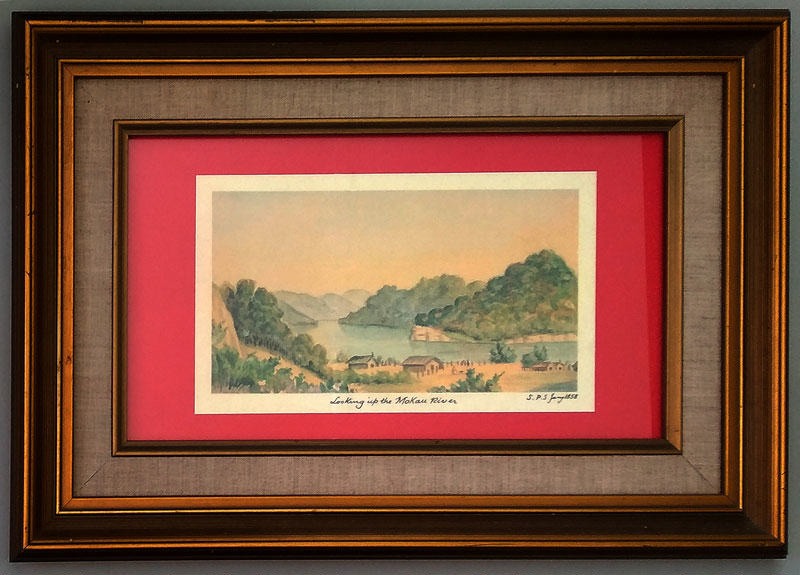 "Looking up the Mokau River"